Tinuku - Samsung Electronics might reveal some details on the world’s first foldable smartphone in the pipeline at its developers’ conference in San Francisco in November, according to the industry on Monday. 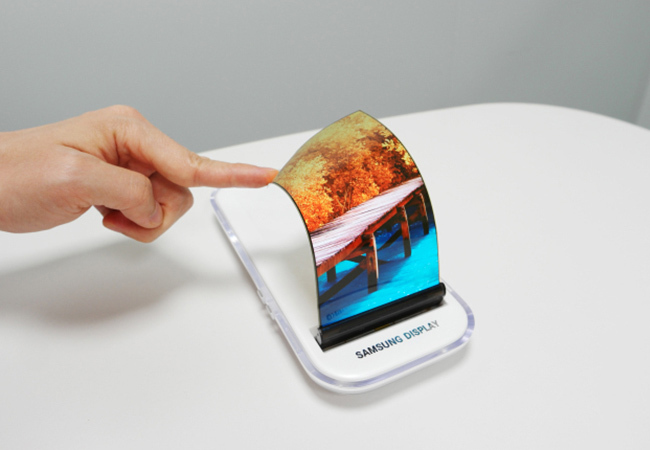 Rumors the South Korean tech titan would unveil its foldable phone at the Samsung Developer Conference have been circulating around the world following a recent interview of the company’s mobile business CEO Koh Dong-jin by a group of foreign media outlets last week. Samsung has dismissed the rumors, saying the company’s official stance has not been confirmed yet. However, it acknowledged that more details of the foldable phone could be announced at the event, as it is approaching completion of the development. “We will have more to say about the phone under development by that time, probably some details about specifications,” said a Samsung official. “We have overcome a major technological hurdle for the foldable phone, but we are not sure yet when consumers will be in need of such a new type of phone,” said CEO Koh in February. Koh has revealed the foldable phone will have a foldable screen instead of a display hinge as several earlier patent application images have shown. The company is in the last stage of the development and the phone is expected to be able to be released early next year. Codenamed “Winner,” the Samsung foldable phone is anticipated to feature an in-folding structure with three 3.5-inch organic light-emitting diode panels. Whether the company will adopt a hinge or not is still uncertain. The prototype of the foldable model is likely to be built around November, and the phone is expected to make an official debut at the Consumer Electronics Show or the Mobile World Congress early next year. The SDC is an annual event that showcases the company’s advancements in software and how it wants to go further to make it easier for developers to make applications for Samsung devices. It will take place at Moscone West in San Francisco from Nov. 7 to 8. The second edition of Samsung’s voice assistant platform Bixby will be presented at the event, while Galaxy Home, its Bixby 2.0-powered artificial intelligence speaker, will be announced with more details. “Samsung is expected to showcase some of its next-generation products, including the foldable phone and AI speaker in order to retain market attention and not to lose the world’s first title,” said an industry source.